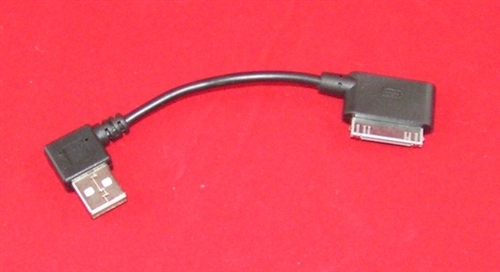 Right angled 30 pin Apple Dock to right angle USB. 2 1/2" in length. Lightning to Mini A USB AudioQuest DragonTail USB Extender Cardas Clear Digital AES/EBU 30 Pin Dock to Mini A USB 4"